When it comes to drivetrains, there isn't much that can beat a 1x drivetrain. With a 1x drivetrain, you no longer have to worry about a front derailleur. 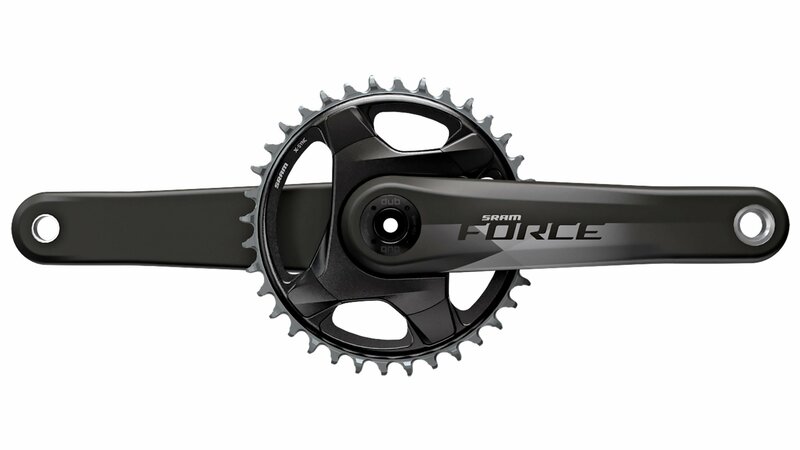 The SRAM Force 1x Crankset is a lightweight, strong, and simple crankset. It features a single ring that simplifies the functionality and reduces the weight. It has SRAM X-SYNC wide-tooth, narrow-tooth chainring technology provides maximum chain control. With carbon fiber crank arms, you'll have maximum power transfer and strength.